Get your logo printed on absolutely stunning 16 oz. Metro Tumblers w/ Straw. Clearly a great choice for personalized tumblers and printed business gifts. 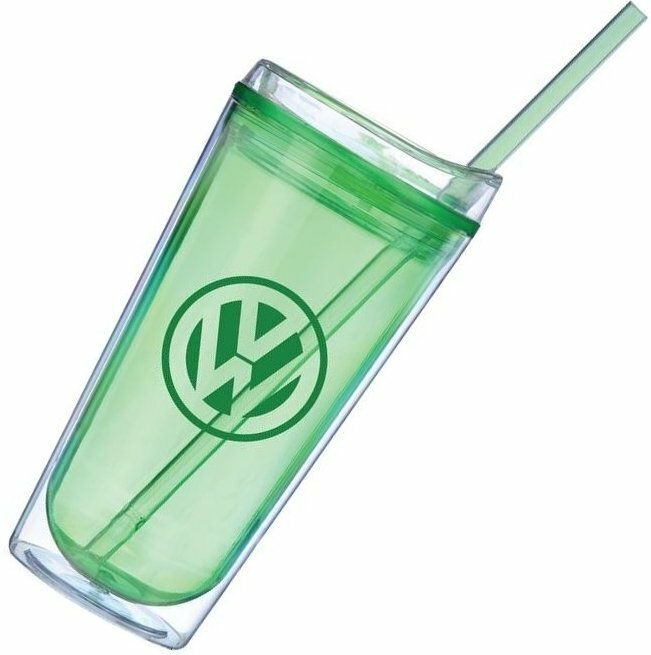 Features include Color Acrylic Tumbler with Twist on Lid & Colored straw. Personalize the Metro Acrylic tumbler by the straw color and your logo. Overall size is 7 H x 3 1/4 dia. Buy lots of 24 units over minimum. Each unit is poly bagged, lid attached. Straws in each carton. Delivery from date of an actual order for product - 3 weeks. Price includes a one color imprint on two sides 3" w x 3" high. one side only, add $55 setup & a run charge $.69 each. Courtesy Pantone Color Match free, not guaranteed. Logo does require Illustrator ai, eps or pdf art file. I placed a minimum order for the 16 oz. Metro Colored Acrylic Tumbler, they arrived in less than 3 weeks, quality product and our conference logo is printed perfectly. The service I received was more than a pleasant experience and I recommend Promotional Items Inc highly. A Satisfied Customer in Florida.